Relax, Rover. 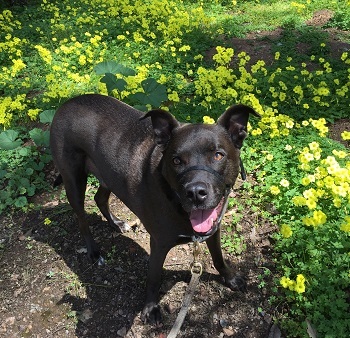 Reviews Dog Walker in San Mateo — Relax, Rover. “Listen. I don't want to share her but Erika has been so extremely helpful. She's knowledgeable and trustworthy and my dog comes home happy and tired. What more can you ask from your dog's caretaker? Yes, it is a bit pricey compared to other pet professionals in the area but you get what you pay for. Bonuses: Erika texts you when she's picking up your dog, the walks are tracked via GPS, and she always provides details on each walk. "For the last 8 months, we have used Erika Liljefelt (owner of Relax, Rover.) as our dog walker for our Australian Cattle Dog who is 12-years-old. Erika is truly wonderful. She owns her own business, knows the idiosyncrasies of many breeds, is extremely dependable and a personable individual. She sends an eMessage signaling her arrival and another at the end of the walk. The end-of-walk message includes her walking route for the day, an indication of how many times your dog took a bathroom break, and a wonderful photo of your pup. Erika is well versed in dog training and behavior. If you have concerns about your dog, such as reactivity to other dogs, she will discuss that with you and will work towards improving the behavior you wish to extinguish. Erika is a wonderful and knowledgeable dog walker and I would not hesitate to recommend her for your pup." “I noticed improvements in my reactive dog soon after Erika from Relax, Rover started walking her. My dog used to bark and go crazy whenever she saw another dog. It was even hard at home, since she likes looking out the window, but would react whenever she saw dogs pass by the house. I had to block off access to the window or put her in a room so she didn’t get too frustrated. I was worried about being able to find a dog walker when I found out my dog is reactive, and I’m very glad I found Erika. Erika is always on time and lets me know when she is picking up my dog. She sends me updates and photos after the walk. She makes sure my dog is comfortable and having fun during the walk, and stays calm when she sees another dog by teaching her to focus on whoever is walking her. "Erika was great with my dog! She did a wonderful job of making an otherwise very nervous doggy feel relaxed to be with a new person. She always sends an update after each visit, including a photo, which is so nice to receive. Thanks, Erika!" "Erika is amazing with our pups. They're both rescues and quite reactive on leash -- she was never fazed and helped keep them calm and centered. We've noticed such a difference since she started walking them! Moreover she's reliable, keeps in great contact with us each week, providing reports daily and weekly." Update, February 28, 2019: "Hi Erika! We just walked Murray right past a dog on the trail with lots of treats and no issues! I thought of you. Thank you and we miss you!" "Erika has been an absolute godsend for us and our reactive dog. He used to bark and lunge at every dog he saw when we were on walks. Thanks to her diligent training, he now looks to us for treats or ignores other dogs completely. He no longer has the meltdowns he used to have. It's easier to put his gentle leader on him for walks because he doesn't bark like crazy and shake his head back and forth trying to avoid the harness. He now sits politely and quietly. He's just generally less anxious, which makes me less anxious, and walks are no longer the dreaded chore they used to be. I strongly recommend Erika. She is a miracle worker!"